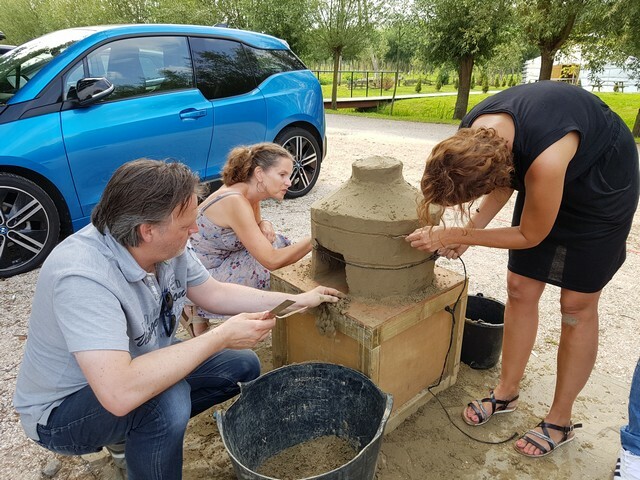 What a lovely way to get back into the creative working groove after the summer! 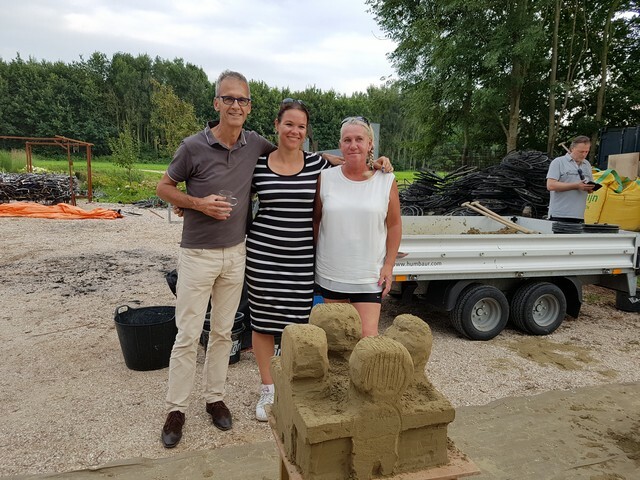 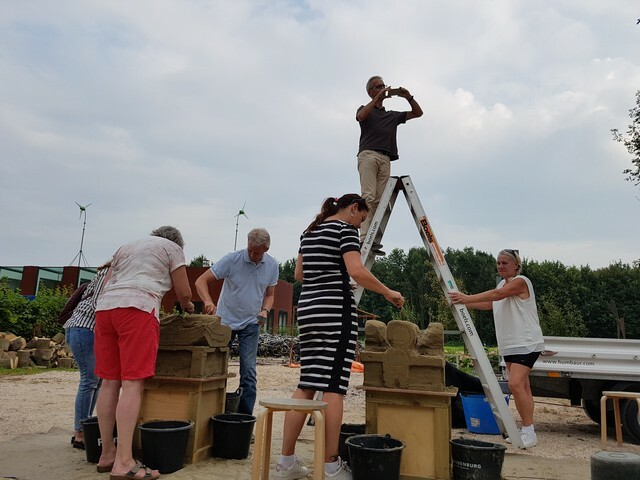 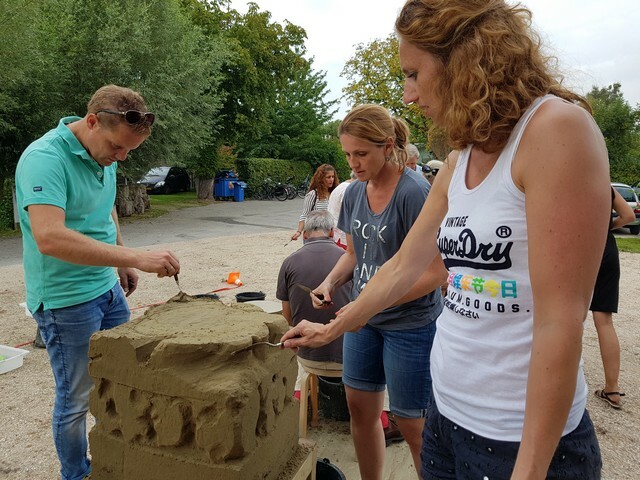 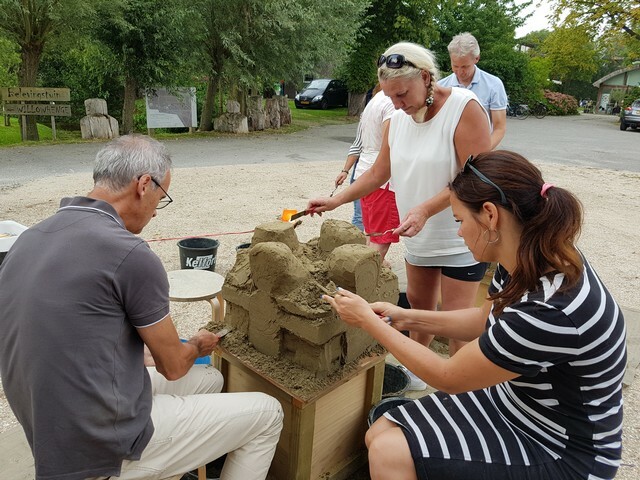 With Stichting Vestia’s HR Department we had the chance to experience a top quality team building event, where everybody worked tirelessly to contribute to a wonderful sequence of sand sculptures at the Art Centre Delft. 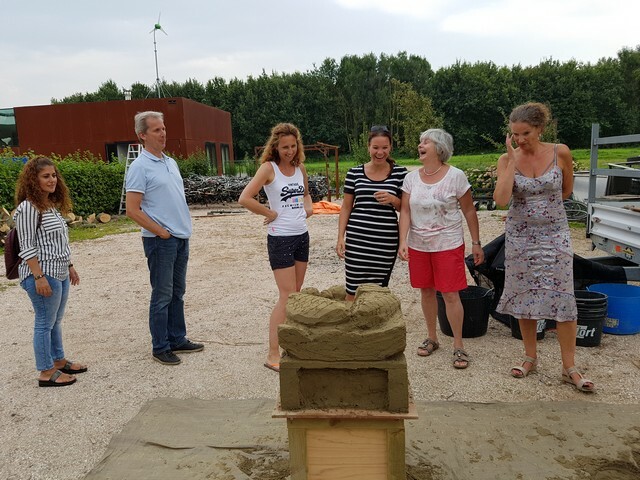 At 4pm we gathered around the yurt to start the workshop with a kickoff introduction into the art of sculpting. 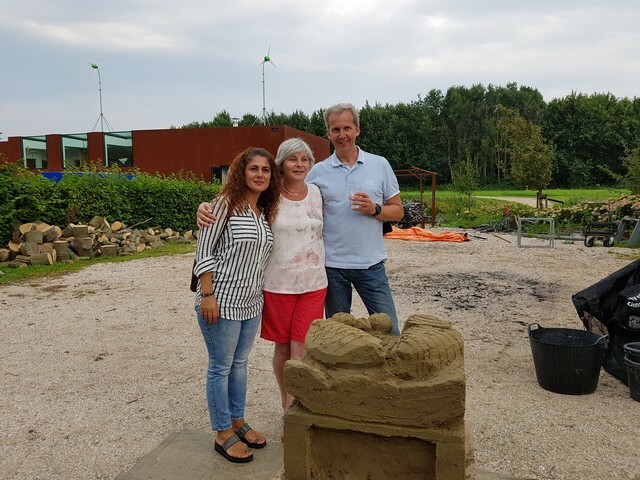 After getting familiar with the material and process , we started the activity in four groups. 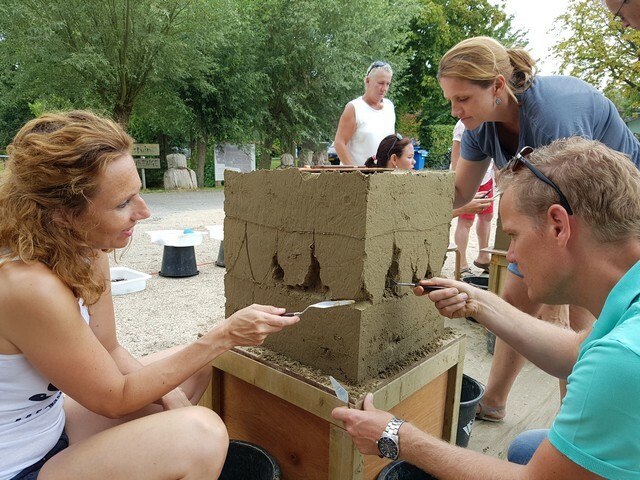 After building the foundations all teams gathered to make a joint design. 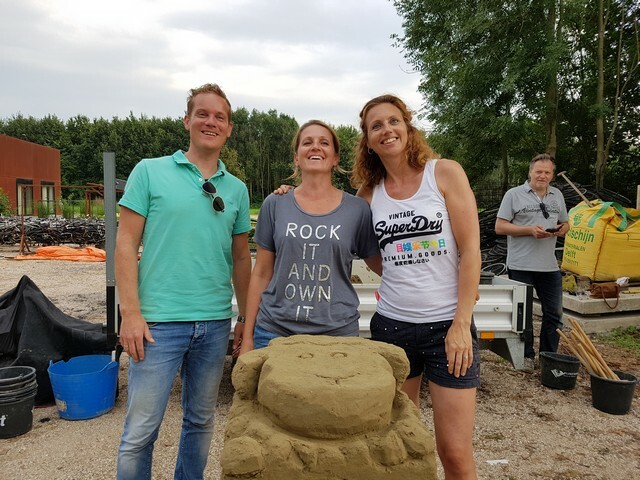 The four sculptures were about to tell the memories our participants were going to take with from this awesome team building day. 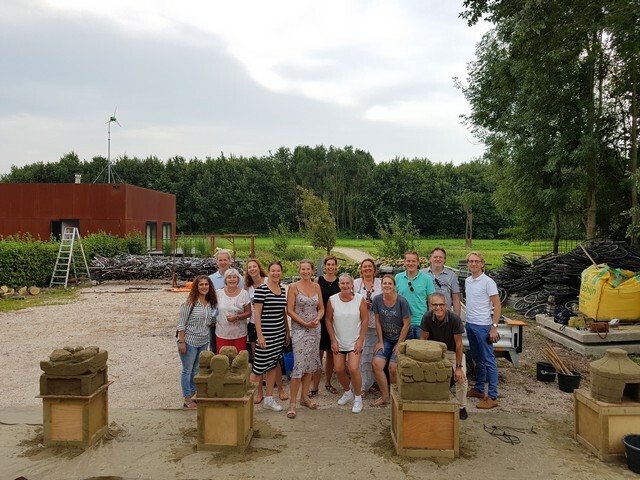 The pictures speak for themselves… Check them below!